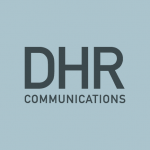 We are delighted to announce that DHR Communications has recently been contracted by two new clients: following competitive tendering processes, we have been chosen to work with the Centre for Ageing Research and Development in Ireland (CARDI) and Ballymun Youth Action Project. CARDI is a not-for-profit organisation, developed by leaders from the ageing field across Ireland (North and South) – including age-focused researchers, academics, and statutory, voluntary and community sector representatives – with support from Atlantic Philanthropies. The aim of CARDI is to promote greater collaboration amongst age researchers; ensure wider dissemination of ageing research information; and advance a research agenda relevant to the needs of older people throughout the island of Ireland. DHR Communications will be working with CARDI over the coming months on its public relations and public affairs outputs. Ballymun Youth Action Project, meanwhile, is a community-based response to substance abuse: it was founded in 1981 in response to the growing problem of substance abuse in Ballymun in North Dublin, and with the aim of developing and coordinating community alternatives to drug-taking and alcohol abuse. The Project is now firmly established in the local area, and offers a range of services, including counselling, education and training, a drop-in service, and educational outreach activities. DHR Communications is working with the Project to plan and implement a programme of events to mark the 30th anniversary of its founding in 2011. We will keep you updated here with plans for the celebratory events!